A puzzle game in which you guide quirky animals through portals in the woods. But watch your step, they all move at once! Discover over 50 levels of puzzles ranging from simple to complex in an expanding world map. Control 3 types of animals, each with its own properties and interactions. New mechanics are introduced at each new area, such as slippery ice and teleport pads. Is there another game in which you can play as a buffalo, a fox AND a duck at the same time? Yeah, didn't think so. 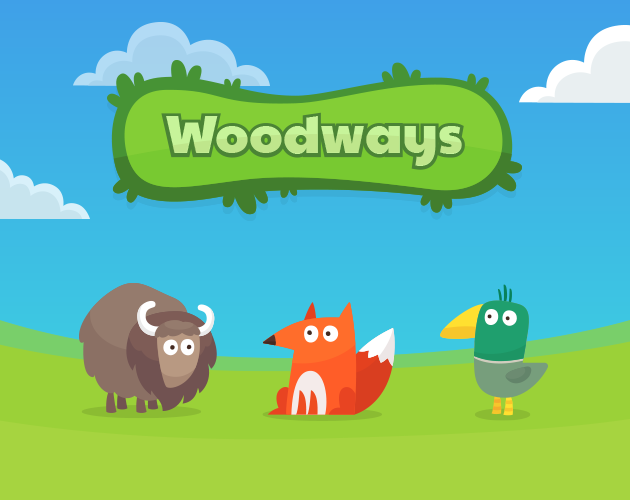 Woodways Free Demo & 1.3 Update!